It’s a good thing the work I do is in insights and transformations, because probably little else would have prepared me for 2018. On a global scale, this year seemed to be about 1) getting a grip on the scale and immediacy of climate change, 2) raising questions of policy and human decency toward migrants and refugees, 3) comprehending the magnitude of emerging data privacy issues and the impact of technology on our behavior and our lives, and 4) dealing with a recidivistic slide in countries around the world into populist nationalism and fascism. So. Y’know. Just little stuff. Since my own work is at the intersection of technology and humanity, I was particularly interested in the stories that pertained to that third topic: data privacy and the impact of technology on human behavior, experience, and life in general. But I also know that none of these topics happened in a vacuum. Our willingness to confront climate change—or not—will parallel and perhaps have rippling consequences in how we handle the emergence of artificial intelligence. Acknowledging and dealing with underlying issues will be key in both scenarios. And the discourse around those topics will shape the global political theater, and vice versa. It’s all connected. “For the past two decades, the Computer History Museum has chronicled the amazing rise of the technology which just in our lifetime has become the most powerful agent of change the world has ever known. While the stories of creativity, invention, innovation and impact are fascinating, what all this means for the future and humanity is what we are poised to take on now as an institution. Nowhere has this become more clear to me and my colleagues here at the museum than in reading Kate O’Neill’s blog about a year ago entitled “The Tech Humanist Manifesto.” The idea that we need to develop and imbed in all future technologies the very best of ourselves and our ethics and ultimately have the goal of those emerging technologies to make us better humans has resonated deeply into our own plans of what we will present, discuss, and debate going forward. As the book launched in September, I embarked on a nearly-four-week long speaking and book tour, finishing the trip by being recorded for the “Talks at Google” lecture series, which they describe as bringing “the world’s most influential thinkers, creators, makers, and doers all to one place” — and that place is the Googleplex in Mountain View, California. With that description, I can’t tell you how honored I was to be asked. If you don’t have time to watch, I’ll give you the premise: the technology-driven future can be filled with human meaning. I genuinely believe that. It’s the undercurrent of my work, and my personal and professional purpose. With automation and artificial intelligence amplifying and accelerating the goals of business, it’s an important message for business leaders and experience designers to hear. 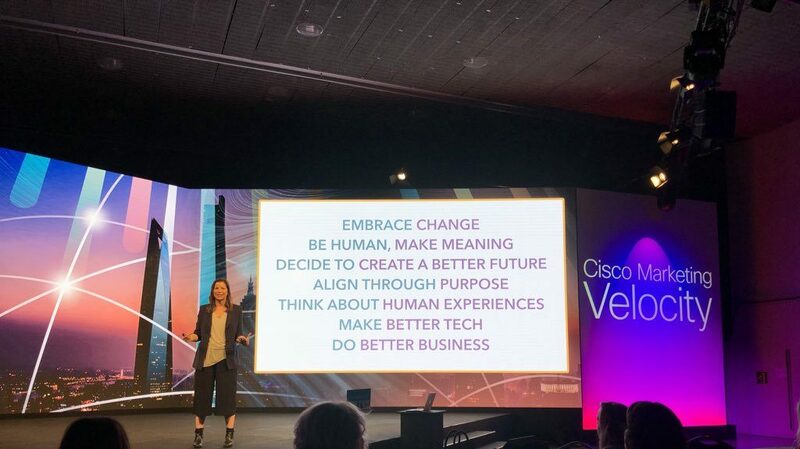 It encourages me that so many companies have signed on to this “Tech Humanist” message of human-centric digital transformation by hiring me to keynote their corporate events (and it was lovely that so many this year were in wonderful locations, such as Palm Beach in April for a Kelly Services event, and Barcelona in May for a Cisco event). 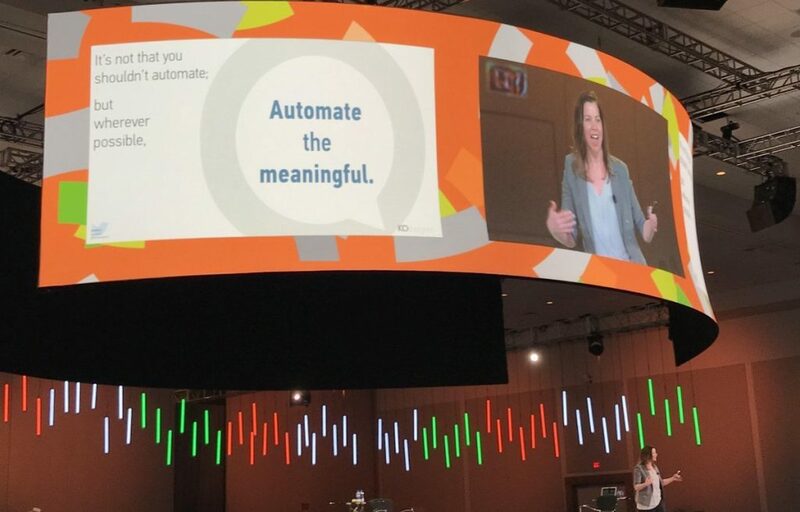 In December, analyst firm HfS Research, which specializes in automation and artificial intelligence for enterprise, invited me back to keynote their FORA (Future of Operations in the Robotic Age) event on the hyperconnected economy. 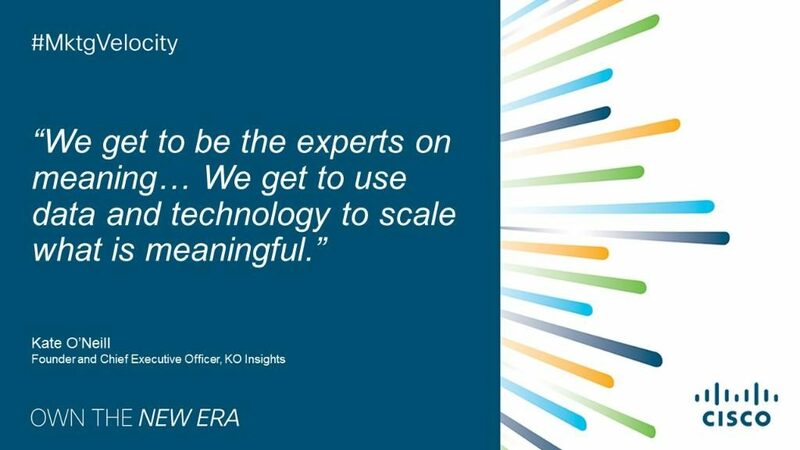 Again, they did this specifically to emphasize the human angle in this otherwise technology-heavy discussion of enterprise operations. I find that incredibly encouraging, and I’d love to suggest that you should, too. My “tech humanist” message and movement is spreading in ways I could never have predicted, too: some of this year’s highlights for me were seeing my work finding its way into university curricula, such as having The Tech Humanist Manifesto licensed for inclusion in a textbook, and seeing my work spread internationally, such as signing the paperwork to have my previous book, Pixels and Place, translated into Korean. In fact, speaking of the international scale of the message: in early December I was honored to be asked to keynote the Amsterdam Economic Board’s annual meeting, as part of an initiative preparing the city of Amsterdam to be future-ready for its 750th (!!!) birthday in 2025. It was the perfect synthesis of Pixels and Place and Tech Humanist: I shared my thinking about how cities of the future can be fully human-centric while embracing data and emerging technology to empower its citizens, its visitors, and all the humans who live, work, and play in the city. The theme of transformations with systemic consequences carried over on a personal level, too: I celebrated 20 years since quitting smoking and 20 years since going vegan. Apparently 1998 was also a pretty darned transformational year for me. On a heavier note, this was also a tough year for transformative losses: most notably my dear friend Jen lost her husband in late summer, and for me and many of her friends, the following weeks and months were devoted to seeing her through her grief and adjustment to being a widow, something I am unfortunately qualified to help with. Speaking of which, another systemic effect: with Kate Spade’s and Anthony Bourdain’s deaths by suicide happening just days before the 6th anniversary of my late husband’s death to suicide, I felt their deaths acutely as triggers. Triggers are, at the moment, talked about through a sneer in contemporary culture, but they’re real and they’re hard; I wrote about them in this essay called “Suicide vs. Love” back in 2014 when Robin Williams died. And the reason why all these deeply personal matters are relevant here, in this year’s business summary along the theme of interrelating systems, of how one planet’s shadow causes change on another planet’s surface, is that this is how we must begin to think about humanity. We do not live in isolation; we do not live in tidy boxes that separate one effect from another. Our lives and our deaths affect one another. Our decisions—professional and personal—shape and change each other’s lives. The world around us is transforming in big, fast, sometimes frightening ways, and it will continue to transform, radically and quickly. We must adapt with it, and we must take responsibility for our role in making the best of those changes. That means thinking about the connectedness of systems, and about the connectedness of us all. Happy New Year, and may 2019 bring about happy and meaningful changes for you, for me, and for everyone. If this theme resonates with the conversations your company, organization, or city has been having and you’d like to hire me as a keynote speaker at an event in 2019, please do reach out. Here’s to a meaningful year for us all.